I forgot to get the guy’s name though, but he was quite proud of his lowness and drifted all day. Damn that is clean! Wonderfully low and sideways. 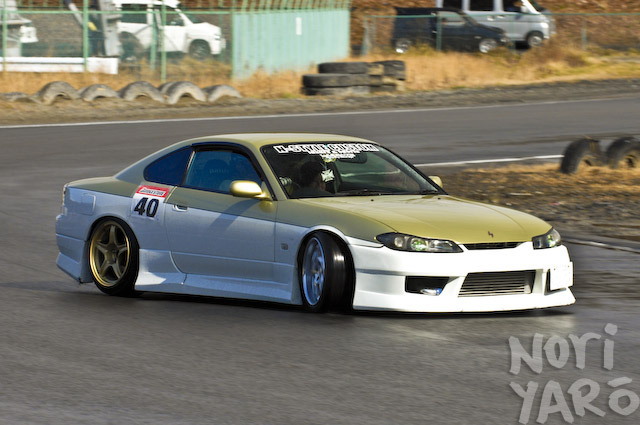 One of the nicest S15′s I’ve ever seen. That may be the hottest S15 I have every seen, the colour and bodylines are perfect. i dont think there is any other word then perfect, kit wheel fitment and paint style are all perfect. Simple and nice. I have the feeling this guy likes the hob goblin. Wow, I can’t explain it at all, but that car really does it for me! 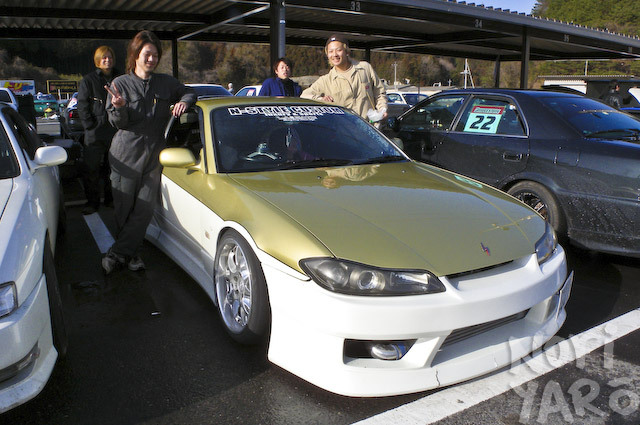 Definitely one of the nicest two-tone paint schemes i’ve seen on an S15. also keen on a wallpaper! 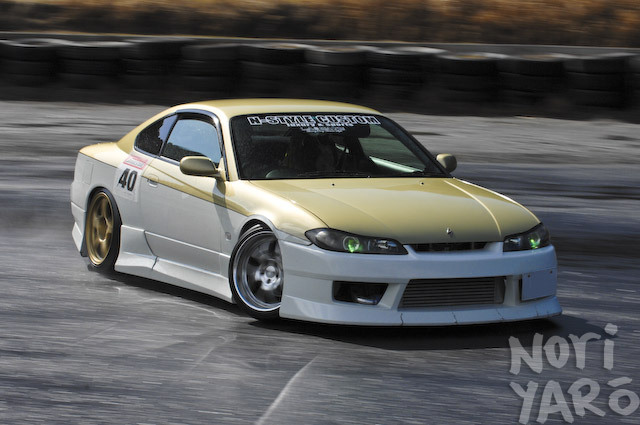 Never seen an S15 like this before. Someone want to enlighten me and tell me what kit it is? That top shot is such a nice clean shot Alexi. I’ve been staring at it for well over 10 minutes just admiring every little detail about it. two-tone paint jobs are climbing up the tuners’ mod list. Alexi, can we get a wallpaper of this car? please? Hey! i have this car in this colour…Champagne colour is better then gold…. I love this car, and I’m happy to see a real car with the colors of my RC car….